My dog seems to like this better than the other dry food she was eating. I try to give her a variety so eating does not become boring. I like that it is made in America. I gave it 4 stars only because my dog is eating it but does devour it like she loves it. Maybe that is too much to ask for dry dog food. After trying many other competitive brands my English bulldog was still so dry and itchy. Tried this after reading and hearing great things and my boy loves it! He gets so excited for breakfast & dinner time! My pup tried Zignature Whitefish! 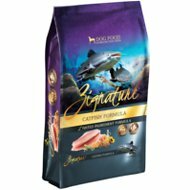 My dog typically doesn't care for fish flavored food or treats. 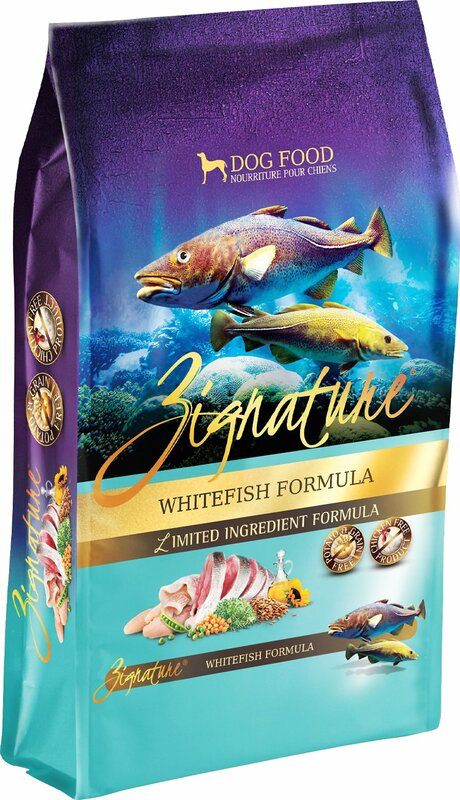 I wanted to try the Whitefish by Zignature since it's a cooling food. My pup runs warm naturally and it's best to feed her cooling foods. I mix the whitefish with duck and it is a feast! Our golden is allergic to almost everything. His vet recommended the switch to Zignature Whitefish due to it's very limited ingredients. Additionally he is a VERY picky eater so we were not sure he'd even try the food. He LOVES it. I will send another review again if he has no skin problems with this food...poor guy has been miserable for several months! I have a 11 yr old Tibetan Terrier who developed food allergies at four. It didn’t help that she must be one of the most finicky eaters on earth. 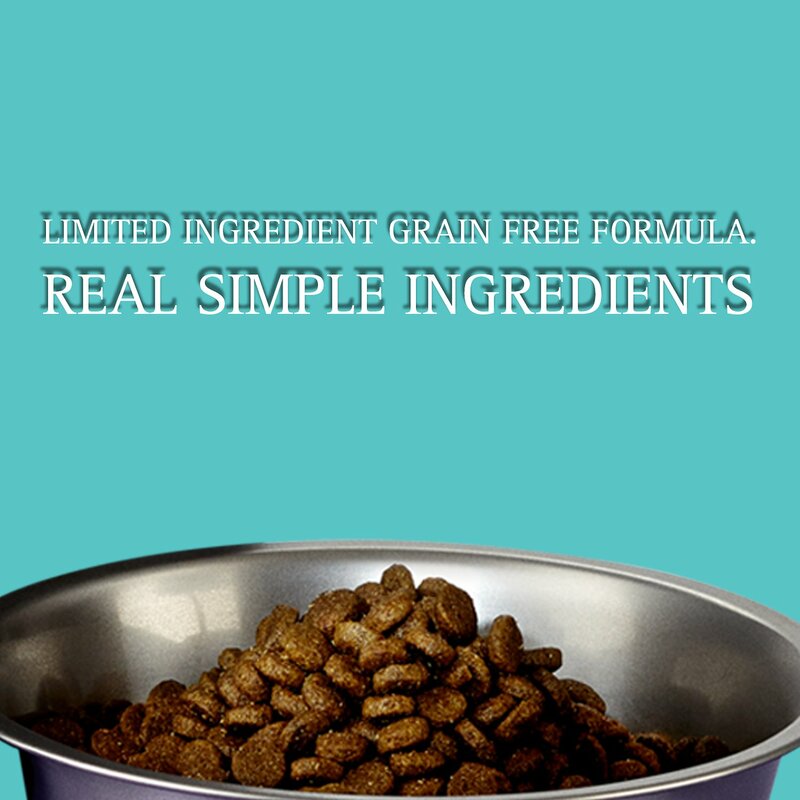 We’ve tried multiple brands and mixtures over the years staying with limited ingredient and grain-free options. Finding one she’ll eat and not cause a major allergic response has not been an easy task. This formula (Whitefish and Trout) has been a godsend. She has all but stopped her scratching and eats Zignature without hesitation. My pug was having redness and pumps on his skin. 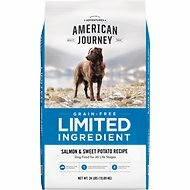 The vet shared with me that we could either go through long allergy testing or we could just change his food, as most dog allergies are caused by their food. He instructed me to find a different source of protein that was different from what I was already feeding him, which was chicken. So I read reviews and I have not regretted it my puppies fur looks shiny, he doesn't itch all the time, and red pumps have left his skin. Also, my puppies seem to like it, but my pugs like everything. I procrastinate for a long time and had my doubts however ordering was easy, price was cheaper then my veterinary and it was delivered in two days. Awesome!!! !